It was a great season to kick off the year. After an incredibly exciting 2019 Spring Split, Riot Games has revealed that the LEC broke multiple viewership records this season. During the mid-split viewership update, the company shared that it saw a 50-percent increase in viewership during this Spring Split compared to last year. As we approach the Spring Split finals in Rotterdam, Riot also detailed that over two million hours of LEC was watched each week throughout the season. Additionally, Riot saw the highest concurrent viewership count for a ninth week of a season—around 355,000 fans tuned in to watch the final week of the split, which destroyed the previous week nine record from 2015. If we take a look back, 2015 was a good year for European League of Legends. In fact, it’s pretty symbolic as that was the year that Origen first entered the EU LCS. This year, Origen made its grand return to the LEC after leaving the scene in 2016—and this weekend, they’ll be battling it out for a spot in the finals against G2 Esports. It’s clear that Origen was a big storyline that many people wanted to watch unfold this split, but there were so many different, intriguing narratives to follow this spring. 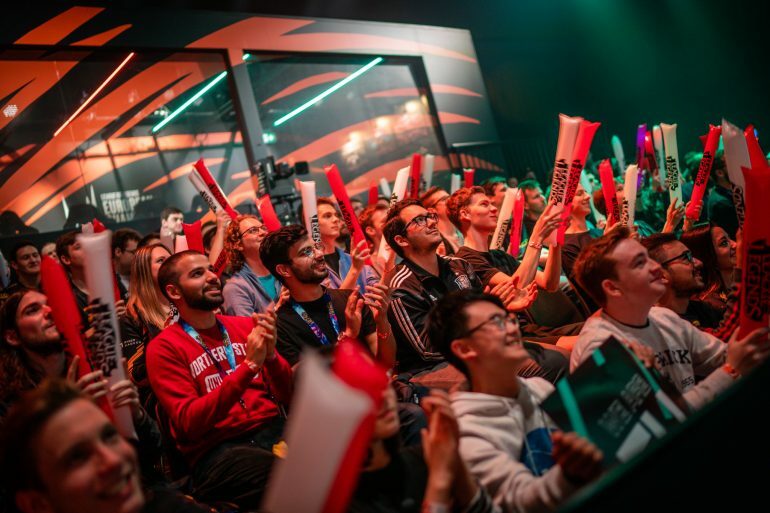 From the G2 Esports superteam, Fnatic’s rise from ashes, and Misfits Gaming’s flop, the LEC had plenty of excitement for any fan to follow along with. We had fiery rookies looking to make a name for themselves and veterans trying to prove that they still have what it takes to play in such a competitive league. Everyone had pressure on their shoulders, and it made for some of the best League of Legends we’ve ever seen—it only makes sense that a ton of people kept their eyes glued to their computer screens. Fans should prepare themselves for the season finale when it all goes down in Rotterdam on April 13 and 14.